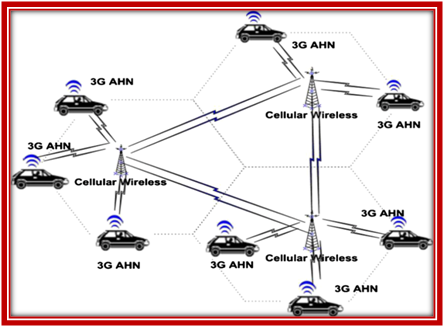 VANET is defined as a spontaneous ad hoc network formed over vehicles moving or between vehicles and infrastructure with vehicle-to infrastructure (V2I) communication. Such VANETs in which vehicles can communicate with each other and also with roadside infrastructure provide a means to improve road safety by enabling a number of potential applications for driver assistance, collision warning, traffic information, and monitoring. Safety applications include immediate collision warning.